The definitive two hour biography of Toulouse-Lautrec. Art is full of angry outsiders. Yet almost all of them are eventually welcomed and forgiven. But not Lautrec. 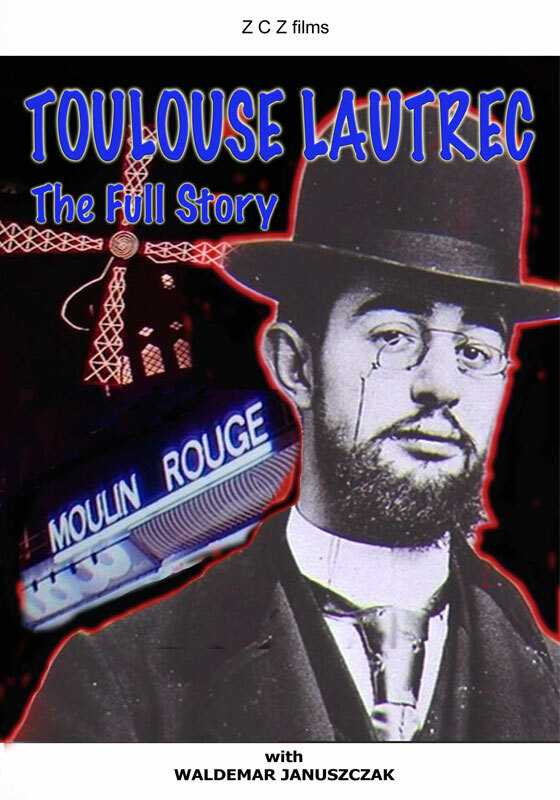 Energetic and bubbly before a childhood accident that would cripple him for life, Lautrec turned into the violent, obsessive, sexually rampant alcoholic, about whom so much that is so misleading has been written. During the course of his short but turbulent life, Lautrec succeeded in producing a body of art that was truly revolutionary in tone and impact. His work landed some of the most effective blows on the wall that separates high art from low. Yet all this is frequently forgotten as his infamy grows and grows. Pioneer of the poster, apostle of the brothel, lover of the low. Lautrec is as under-estimated today as he ever was.